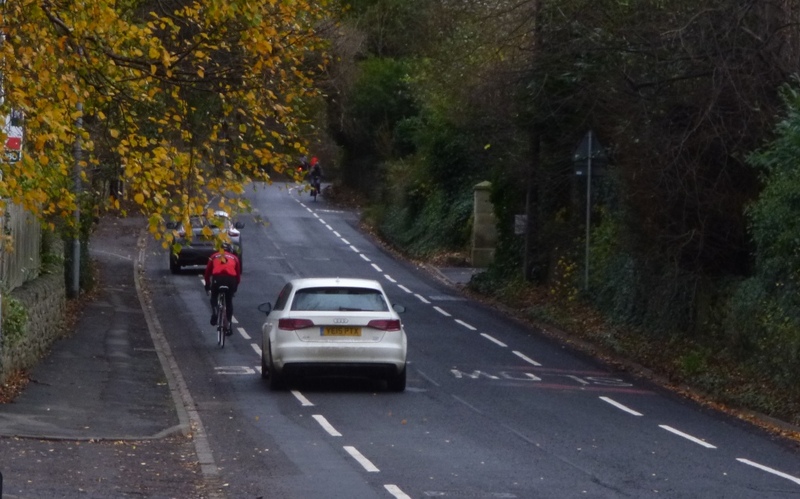 After several years of campaigning for the centre line to be removed on the B6530 (the road immediately east of Corbridge) and Advisory Cycling Lanes to be installed, its fabulous to see this has been done! A HUGE well done to NCC Highways for doing this. Hopefully, the drivers who have increasingly parked on the side of this road to further narrow the carriageway and make this vital cycle link an unhappy experience, will start to use the free parking on the south side of the bridge and actually walk back across it. Lets hope this 860 meters of safer cycling is just the start and Hexham Tyne Bridge and Ferry Road will follow very soon with others to follow.